When I first tried to read Katharine Maltwood’s A Guide to Glastonbury ‘s Temple of Stars, I ended up with a terrible headache. Even though I’d studied mythology and archaeology for decades, this 1920s identifier of the Somerset circular landscape temple seemed so ‘other’ to me, and her ideas far too dense, like an overpoweringly and sickeningly rich scented pot pourri from another time. However, now – several years later – I’m picking up her books again and reading them with ease and joy. It’s almost as if she’s talking to me personally at times – as if she’d written for an age when we would have more knowledge about our ancestors and thus be more able to pick up her quiet nudges and gentle allusions which are threaded throughout her writing like delicate and refined gold knotwork. Katharine was a senior Freemason and, at the time of her writing, in the early 20th century, she would have been hampered by the Freemasonic agenda. Although her inclusion in such hallowed circles would have been helpful in some respects, in terms of being able to get access to more obscure material, it would also have gagged her in the same way that academic researchers today are unable to publish their results if they don’t fit the received narrative. That’s because those Freemasons who complete the 33 degree path are given a back story which literalises the ancient metaphorical myths to create a science fiction fantasy worthy of L. Ron Hubbard about a superior race of Aryans/Annunaki who came from outer space to colonise us simpler Earthbound folk, and to teach us sacred geometry, astronomy, and the building of megalithic sites and mounds. The Royal Arch masons, of which Katharine was one, also had very close links with the British-Israel movement who used pseudohistory to try to establish some sort of legitimate claim for a New Jerusalem in the British Isles, and whose influence in Glastonbury at that time was strong. In such an atmosphere, Katharine could only hint that she secretly thought that the builders of the Glastonbury Temple of the Stars were not from the far off Middle East or Mesopotamia, but from closer to home. Notwithstanding the River Parrett, which I’ll come back to, she barely cites any local place names that come from the Akkadian or Phoenician pantheon. But she finds plenty named after Lugh and Hu, who were Celtic fire gods. Added to that, there is nothing in the archaeological record to indicate that the Akkadians were ever here, in Britain, and precious little of the Phoenicians, apart from some legends about foreign tin traders. I’m sure she would have known that too. 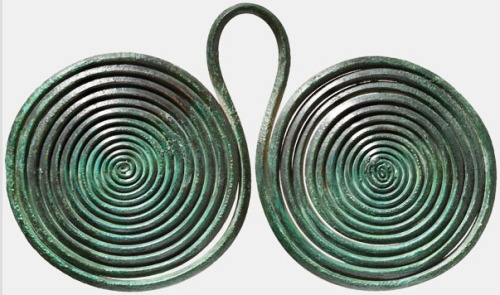 Attributing the Glastonbury Zodiac in any way to the Celts would not only have been a very unfashionable and risky view in Katharine’s time; it’s only marginally more acceptable now. It’s only since a number of fields of research have syncretised that scholars can even begin to consider it, because we in these British Isles were one of the earliest recipients of the Roman mind programming initiative c. 1600 years ago, and so we fell for it the hardest. In more prehistoric times, the wandering, nomadic storyteller would arrive under the village tree and spread out his story mat, and the villagers would gather round for some entertainment. The 4th century Roman Emperor Constantine did away with such quaint, old dial-up technology and imposed the Abrahamic, high speed broadband like wall-to-wall carpeting right across the whole of his huge European empire. Constantine’s newly literalised Gospel stories were eventually followed by various other pseudohistory mash-ups such as the Irish Book of Invasions (Lebor Gabála Érenn), the History of the Kings of Britain (Historia Regum Britanniae) and the High History of the Holy Grael. We musn’t forget Nennius and Gildas…and I’m sure countless other Christian scribes who may not have realised that they were plundering metaphorical myths to create a fictional back story, but that is what we’ve ended up with. My shamanic work in the last few years have been all about getting us back to our own mythological and spiritual roots – in other words, our Sovereignty comes from the land, or to be more precise, the spirits of the land. So for me, it’s been a bit like taking a pick-axe to an Axminster carpet that is now set solid, like concrete, in our cognitive landscapes, to break it all up so that some natural growth can come through and bloom. Since working with the spirits on Sovereignty, I’ve come to understand that until we own our own stories, which our own land around us is telling us, we will always be at the mercy of those from other parts of the world who literalise their own stories to persuade us to their agendas for our future. It’s heartening to see that in a world in which anything that fails to meet the exacting criteria of the officially approved narrative doesn’t get through the academic peer review system, some brave scholars are pushing for a much earlier date for the Celts than the La Tène culture around 450 BCE, even as far back as the Bell Beaker people (c. 2800 – 1800 BCE) who we believe built Stonehenge. But we can get further back than even that – although first, let’s take a little meander. Asia Minor is now called Anatolia, which is bounded in the east by the Armenian Highlands – in other words, the source of the river Pǝrāt. So am I trying to make the case that the Armenians/Anatolians built the Glastonbury Temple of the Stars? No… partly because I find diffusionist theories about one-way migrations to be largely colonialist and subject to circular, often racist, thinking in their assumptions – and that Occam’s Razor can be a very blunt instrument indeed in such hands. In addition, recent linguistic research indicates that it could have just as easily been the other way round. A linguistic group labelled Dene Caucasian has been identified as sitting out the whole of the last Ice Age, up to 12,000 years ago, in the Basque Pyrenees… from where the Milesians later migrated to Ireland along with the shaman poet Amergin. In the 12th century, Geraldus Cambrensis wrote about the Welsh shamans, called awenyddion, who would fall into a deep trance to seek divinatory guidance from the spirits in the Other Worlds. The Irish Finn MacCumhal, who had a Druid foster mother, was also such a seer, and his exciting Otherworldly adventures which passed into Irish oral lore are far too many to list here. The Celtic stories, songs and poems are full of shapeshifting and reincarnating heroes with the archetypal ‘fire in the head’ and many of the stories read like classic shamanic initiations. There’s a ‘great tree’, (or World Tree), people who vanish for years into the Otherworlds, an Underworld, talking animals, the inner sight, and a poem entitled The Siege of Drom Damhgaire even gives us a magical battle between two shamans. A typical example of the shapeshifting of shamanic experience is found the Song of Amergin, purportedly sang by the 3rd century BCE poet Amergin when first he stepped on Irish shores from Spain with the conquering Milesians. I am the god who fashions fire in the head. To me, it’s becoming gradually clearer that the characters in these stories being told on the land around here are like a message in a bottle from our ancestors about how we can get back to our roots and claim our spiritual self-empowerment, our Sovereignty. It’s said that he who doesn’t learn from history is doomed to repeat it. I think we will be forever doomed until we can find out what our Celtic history really is and who our Indo-European ancestors really were, and delve deeper into the real wisdom Mystery teachings connected to their images and stories. Ishtar, I love your articles….